Skycatch and Wizeline would like to invite you to AI in the Wild, an event focusing on Applied Artificial Intelligence. The event will feature lightning talks, highlighting the latest use cases of Artificial Intelligence and Machine Learning in consumer and industrial settings, from speakers who work at startups developing applied AI projects at scale. We welcome those with technical and engineering backgrounds, however, no AI experience is necessary. Join us and get insights and feedback first hand from industry leaders! Angela leads all AI initiatives at Skycatch - building UAV supercomputers in the sky to turn the physical world into an indexed database. Her previous work on Deep Learning focused on education. She presented at Women in Machine Learning in 2016 and published a paper at the Educational Data Mining Conference in 2017. Angela graduated from Stanford University with a B.S. in Computer Science / Artificial Intelligence and an M.S. in Management Science & Engineering. She was the Co-President of Stanford's student entrepreneurship organization BASES and designed products and services for the world's poorest 90% as part of the Design for Extreme Affordability cohort. Diego holds a B.Sc in Applied Math from ITAM, with a concentration in Machine Learning and Statistical Learning. He has spent the past four years modeling data at startups in both Dubai and Mexico. At Wizeline, he works as a Data Scientist for Services and contributes to the company’s research and implementation of Deep Learning technologies. Ana Costilla is a member of the Data team at Wizeline. She participates in different projects helping with the machine learning modeling and development for prototypes and final products. Ana has worked in Data Science and Data Engineering projects. For data engineering, she specialized in Big Data with Hadoop, Pig and Hive. Further for the data science, she has done clustering analysis, social network analysis and information retrieval. Prior to Wizeline Ana did Data Engineering in Accenture for a telecommunications company. Ana earned a Master of Sciences in Big Data Science from Queen Mary University of London with distinction and a B.S. in Business Informatics from the Tec de Monterrey, campus Monterrey. Mexican Symposium on Medical Physics on 2016 as a result of one of this projects. Rita Q. is a professor in the Department of Bioengineering at Tecnológico de Monterrey where she has been a faculty member since 2012. She works in Robotics Research group in computer science Ph.D. department, and in the Master of Electronic Systems program. Rita completed her Ph.D. and her master degree at Cinvestav and her Biomedical Engineering undergraduate studies at National Polytechnic Institute. Her research interest lie in the area of automatic control, ranging from theory to design to implementation. She has collaborated actively with researchers in several other disciplines of engineering, particularly medical and biotechnological applications. Rita is member of the National Research System, and has been advisor of several thesis, author of multiple journal papers and reviewer of some IEEE and Elsevier journals. She holds five patent requests and three software copyrights deriving from her work in collaboration with hospitals as well as companies in the area of health. With free beer and tacos! 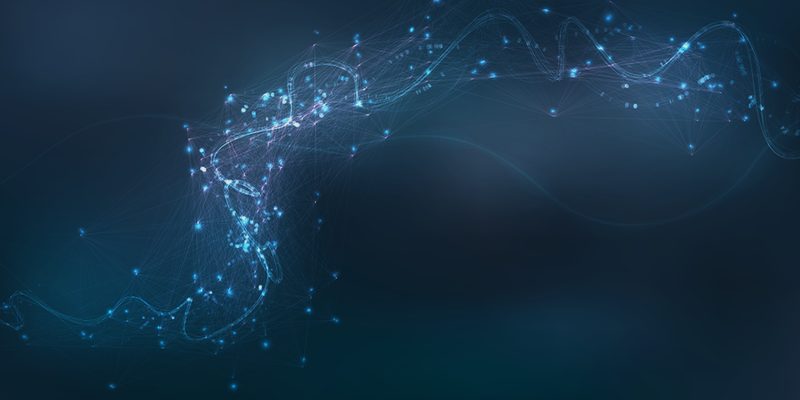 Deploying ML systems to edge devices that are disconnected from the internet is a large challenge for artificial intelligence today. The majority of deep learning systems are trained on the cloud and require local machines or cloud servers with very large GPUs to make predictions at high speeds. For industrial sites like construction and mining, the cloud solution does not make sense as remote jobsites often do not have internet connectivity. At the same time, predictions and results are needed immediately - they cannot wait to go back to HQ and upload the data for processing. We will discuss how drones and AI systems give us the power to capture, store, and analyze data about huge numbers of machines, people, and assets on industrial sites. Key to this revolution is deep learning algorithms that enable us to break down images and videos into an ontology of objects, actions, relationships, and patterns. In addition, we'll dive into edge computing and how to deploy an AI platform across thousands of edge nodes that use high-powered GPUs to capture, transfer, and process data. NLP models are used widely in all kinds of applications: digital assistants, search engines, smart keyboards, personalized ads in social networks, etc. Furthermore, companies like Google, Microsoft, and Amazon provide ready-to-use APIs with NLP tasks. During the talk, we’ll cover some tips and tricks you want in your belt to make your life easier when building a model, especially when you won’t do it just once. Verifying the identity of our clients by comparing the face from the ID card and a selfie photograph is a crucial and important step in Kueski, which is currently being made manually by our Client Satisfaction Operators. This process is starting to limit our loan request processing due to our increasing demand. To combat this, we are developing an in-house face similarity deep learning model to help our operators decide which requests are worth taking a closer look. performance metrics we have achieved so far and future work. All those who work in the area of health have as primary objective to provide the best care to the patient giving the most timely and accurate diagnoses possible. In this sense, the use of technology has become essential, especially as regards the techniques and processes used as a complement to the generation of a diagnosis. The application of techniques such as machine learning to the medical area provides information that can help in the timely treatment and diagnosis so that a patient who visits the first contact doctor can be referred on time to the specialist or be avoided expensive studies that are unnecessary. See demos of AI from Kueski, Skycatch and Wizeline at the demo booths. Angela graduated from Stanford University with a B.S. in Computer Science / Artificial Intelligence and an M.S. in Management Science & Engineering. Angela leads all AI initiatives at Skycatch - building UAV supercomputers in the sky to turn the physical world into an indexed database. She presented at Women in Machine Learning in 2016 and published a paper at the Educational Data Mining Conference in 2017. Angela's goal is to apply artificial intelligence to social challenges in developing countries, especially in her home country the Philippines. Diego holds a B.Sc in Applied Math from ITAM, with a concentration in Machine Learning and Statistical Learning. He has spent the past four years modeling data at startups in both Dubai and Mexico. At Wizeline, he works as a Data Scientist for Services and contributes to the company’s research and implementation of Deep Learning technologies. Wizeline Academy offers free AI, UX, Technical Writing, Software Development courses to meet the demand for very high-value skillsets within the tech industry. We empower our emerging tech communities in Guadalajara, Mexico City, and Ho Chi Minh City, Vietnam with knowledge and the power to innovate. Learn more about upcoming courses on our website or Facebook.